Take the opportunity to immerse yourself fully in the local culture with the many small restaurants and cafes along your route. Don’t worry about your luggage – this will be transported for you between your accommodations! Arrival in Buje. Transfer from Buje bus station to the hotel included - please advise before arrival. A local representative will meet you at your hotel reception at 7pm where they will provide you with the package including hotel vouchers, maps and a road book. Overnight in Buje. 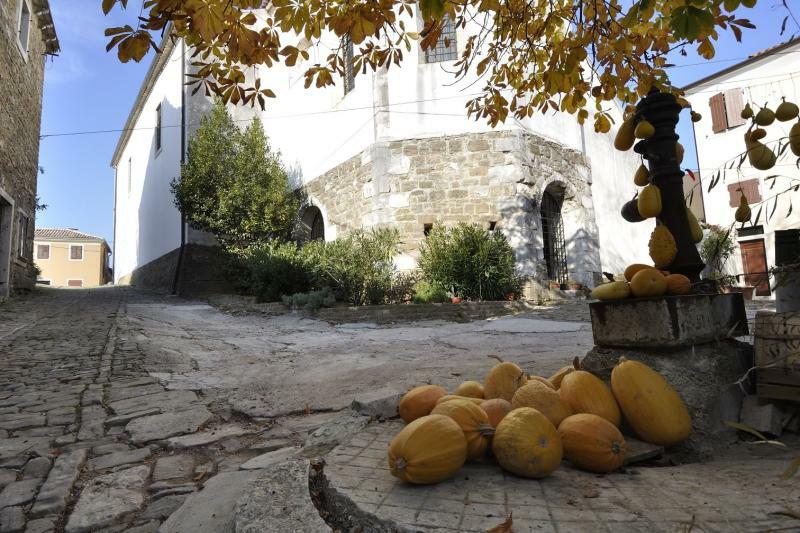 You will be dropped off in Brtonigla and walk back to Buje. Walk through vineyards and olive groves and stop off at small family cellars to try the local produce on the way. Overnight in Buje. 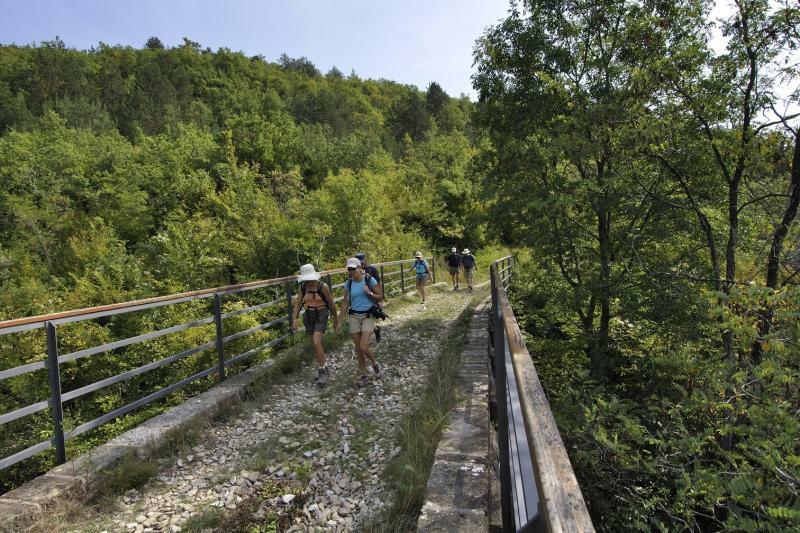 Walk along the old Parenza railway line, now a popular trail for hikers and cyclists, over bridges and through tunnels, before reaching the village of Livade, renowned for its truffles, and ending in Motovun. Overnight in Motovun. A short transfer to the charming town of Oprtalji where today's route begins. Take a downhill trail through the forest passing though some smaller villages with some beautiful views over the River Mirna valley. The trail continues down into the valley past Pietrapelosa castle and through a few more villages until you get to the town of Buzet. Overnight in Buzet. 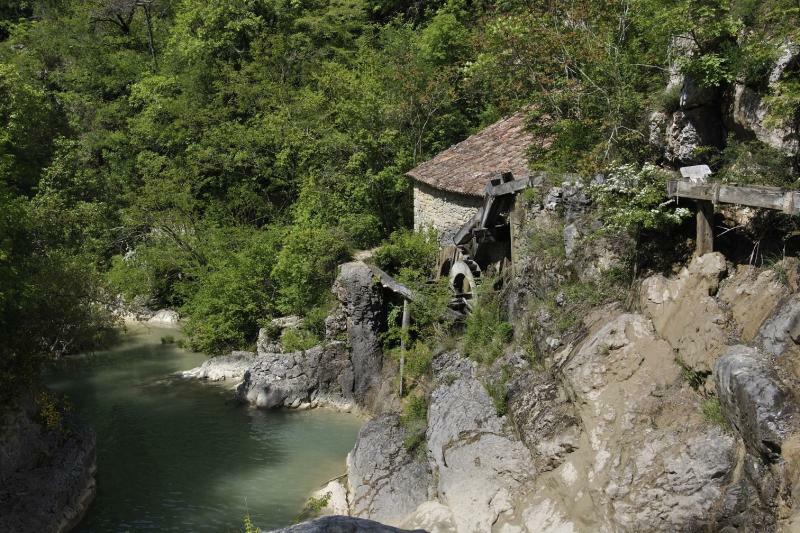 You can either take the circular route starting and ending in Buzet, or end the route in Hum. 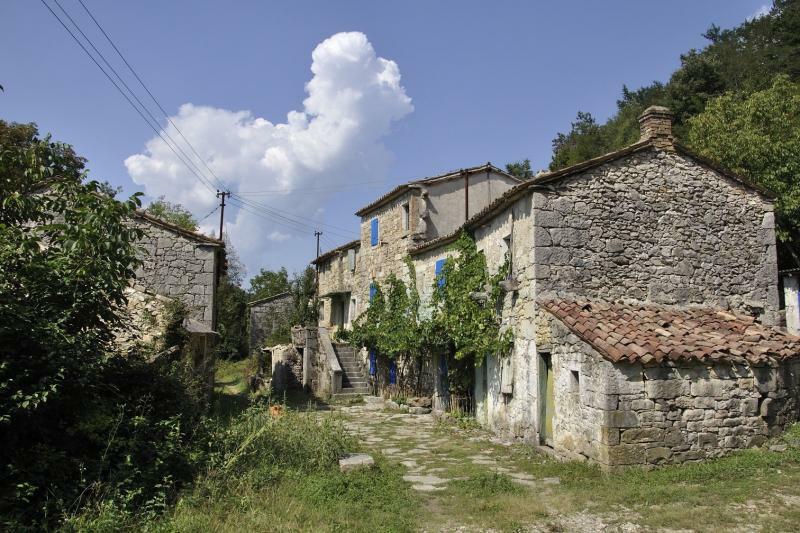 The trail starts by the river, passing lakes and waterfalls and the abandoned village of Bencici with its traditional Istrian stone houses. Continue on to Hum, known as the 'smallest town in the world' and stop for lunch at the 'konoba' (a local dialect word for restaurant). 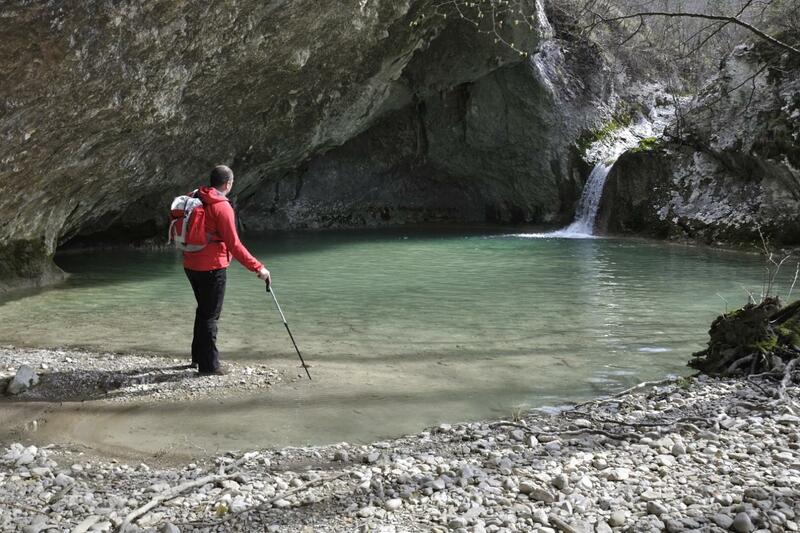 For those carrying on back to Buzet on foot you can take a route known as the 'mistletoe way'. Overnight in Buzet. Transfer to Poklon, from where you head to the highest point in Istria at 1400 m above sea level and some fantastic views. From here it is all downhill for the rest of the way, though oak and chestnut forests to the coastal town of Lovran. Overnight in Lovran. Istria is the largest peninsula on the Adriatic sea in the North of Croatia. While it mainly belongs to Croatia, parts of it are Italian and Slovenian territory, which means that historically there is a real melting pot of cultures here. There is a large Italian speaking community, especially along the coast close to the Italian border. While this area is mostly famous as a wildly popular seaside destination for people from all over Europe, the interior is still relatively peaceful and you can enjoy exploring the charming hilltop villages and historic churches and amphitheatres undisturbed by crowds. 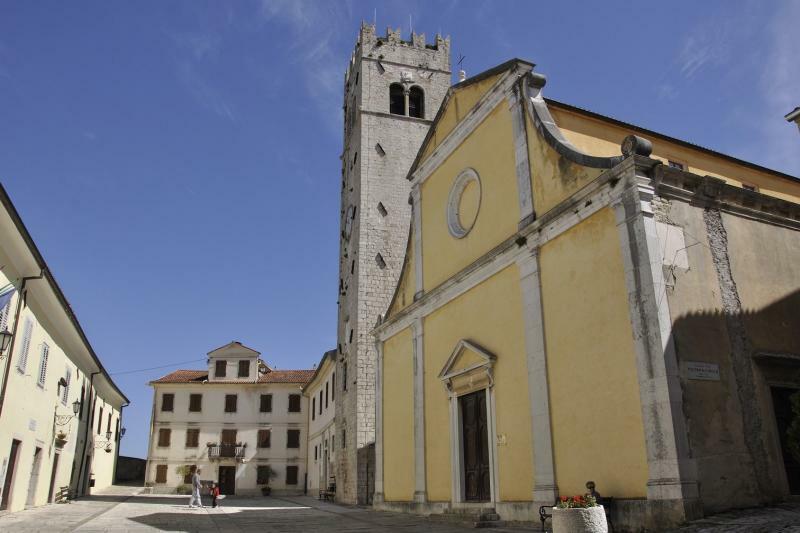 The Euphrasian Basilica in Poreč is an essential stop during your stay. A UNESCO World Heritage Site, it dates back to 533AD and gives a fascinating insight into the history of the area. The cuisine is highly regarded, including truffles, seafood and wild asparagus, as well as the excellent local wines. There is a notable Italian influence too, with homemade pasta and gnocchi dishes on offer in many restaurants and country inns. You will stay at 3* or 4* hotels along the route in a room with en suite bathroom, breakfast included. Accommodation details will be confirmed by our travel partner after booking. As this tour starts and ends in two different locations we do not recommend hiring a car. We do not recommend public transport. Private transfer is recommended.